Once the problem has been diagnosed, our technician will explain to you what was found. They will explain to you the different solutions available to you and how much each option will cost. All repair prices will be established from our Upfront No–Risk Pricing Guide. We do not charge by the hour and there will be no surprises. The price you are quoted is what you will pay. If you approve one of the repair options presented, we will waive the service call fee and perform the work immediately. 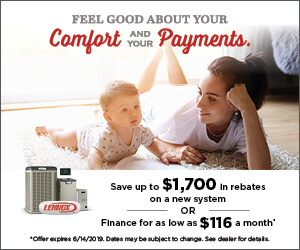 We have earned our reputation as the area’s best residential air conditioning repair company by providing fast, dependable service to our customers. We are committed to fixing your air conditioner right the first time and on time. We focus on keeping our technicians highly trained and on making sure that we exceed our customers’ expectations.